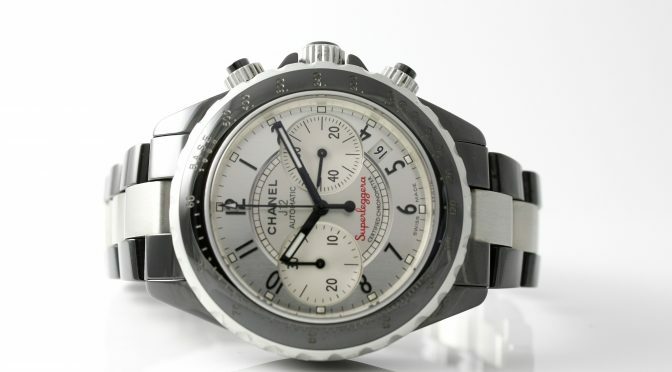 On this deal of the week, we have the attractive Chanel J12 Superleggera Chronograph in great condition and running order. One of Chanel’s most recognizable watches, the J12 is a statement of class and elegance with its sleek aluminum and black ceramic finish. 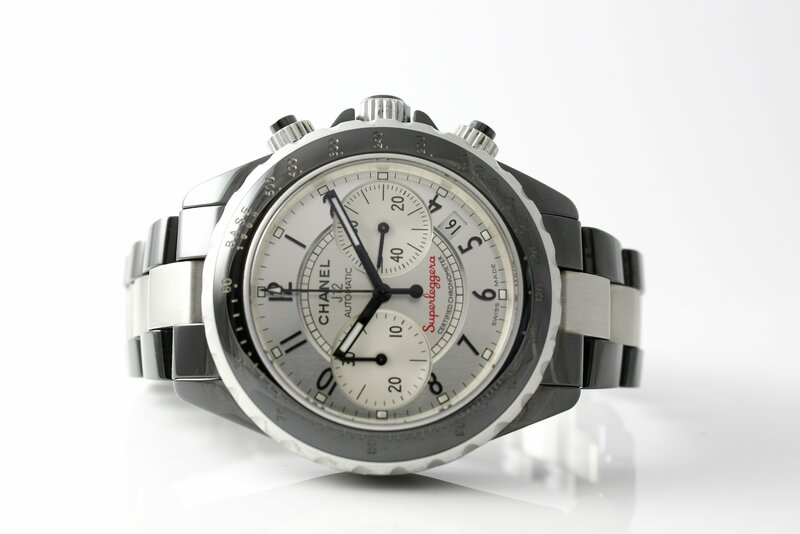 Please note we are a high volume operation with a large and often-changing selection of watches and jewelry. We make every effort to update listings as soon as the item is sold and you are welcome and encouraged to call in advance to confirm that it is still available. We do offer these beautiful pieces on a first-come, first-served basis. Rest assured though that even if this piece has been sold by the time you make it to our showroom, there will always be many others to pick from!